Get Your Paul Mitchell Plaque Today! Few names in beauty care and cosmetics are quite as well-known as the name Paul Mitchell. The legendary hairstylist Paul Mitchell is a household name these days, offering over 100 beauty products, including shampoos, conditioners, hair styling tools, and hair color products. It’s an amazing accomplishment for a company that was started by two guys with only $700 to invest at the beginning of their venture in 1980. Back then, founders John Paul DeJoria and Paul Mitchell only had three products, which consisted of two shampoos and “The ConditionerTM.” From these three products, the two friends grew their company into one of the largest, most well-known companies in the world. Even people who are not involved with cosmetics or other fashion-focused industries know the name of Paul Mitchell and associate it with top-quality hair care. However, as Paul Mitchell’s website states, “producing the highest quality professional hair care available is simply not enough” for their company. As a company, Paul Mitchell is dedicated to making the world more beautiful, whether that means making great hair care products, raising industry standards to eliminate animal testing, contributing to charities, or creating an education program to help new beauticians learn how to make the most of their skills. When contributing to charity, this wonderful beauty product company does more than just donate a few dollars; the CEO himself donates his time and energy to help charitable organizations raise awareness about issues that they hold dear. Just a few years ago in 2011, company CEO John Paul DeJoria was took part in a PSA by the Boy & Girls Clubs of America so that he could help give back to the organization that meant so much to him as a young boy. Making the time to make such a personal contribution to organizations that help to instill a sense of purpose and positive morals into the youth of the nation means so much more than a cash donation alone ever could. For aspiring stylists who want to learn the skills necessary to become top-tier beauty professionals or even salon managers, Paul Mitchell Beauty Schools are a great way to master the skills that are critical to success in the beauty care world. Beyond building salon-quality beautician skills, graduating from a Paul Mitchell Partner School demonstrates a commitment to excellence that future employers look for when they are recruiting beauticians. Paul Mitchell School graduates work in almost everywhere, and with 16,000 hairdressers receiving their beautician degrees and entering the salon industry each and every year, it’s not hard to see how this prestigious program has managed to make such an impact on the beauty industry. Winn Claybaugh, the Dean of the Paul Mitchell Schools, has been with the company for more than twenty years, and couldn’t be more proud of the success of the schools, and the students, that he has helped to nurture and grow over the years. Currently, there are more than 100 beauty schools that are partnered with the Paul Mitchell brand, upholding the company’s standards and practices when it comes to beauty care. Each and every one of these schools is dedicated to preserving the pride of the Paul Mitchell brand, and students who graduate from these facilities can hold their heads high, knowing that they possess the expertise to not only survive, but thrive in the beauty care world. To reinforce this commitment to excellence in their affiliate schools, Paul Mitchell hosts a yearly “Gathering” event. 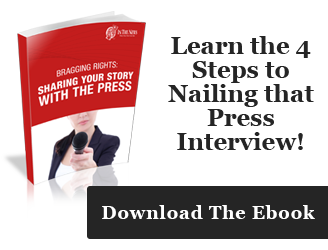 At the latest iteration of this spectacular event held in August of 2013, attendees were able to attend 18 different workshops that helped them develop technique, learn new styles, and build business acumen. The guest list at this event included more than 3,000 hairstylists and salon owners from 25 countries around the globe. More than just a chance to share artistic new styles, the Gathering was also a chance for stylists young and old to enjoy some entertaining performances featuring bold new styles and music composed specifically for the show. The event known as “The Gathering” helps to build excitement and camaraderie in beauty industry professionals across the world and shows students of the Paul Mitchell schools that there is a whole world of styling possibilities out there for them to discover. Even outside of the Gathering events, Paul Mitchell affiliated schools such as the Paul Mitchell the School Tampa regularly convene special events to help students learn from the leading minds in the field of fashion. For example, the Tampa school is holding an event on January 17 and 18 featuring the celebrity makeup artist Debra Dietrich so that she can share her expertise with students and other visitors to the Tampa school. 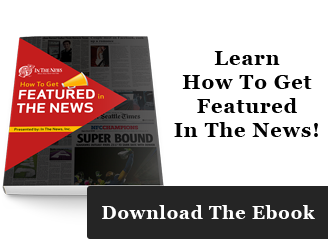 In The News is proud to be able to work with Paul Mitchell Partner Schools so that we can offer our customers plaques of Paul Mitchell newsletters, artwork pieces, and other items to our customers. In fact, we have a page in our store dedicated to Paul Mitchell related plaques. These plaques make for great displays in your salon, beauty school, or even your personal office. 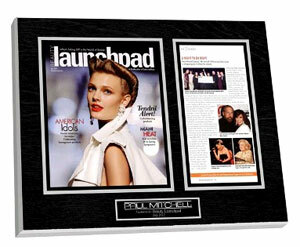 A Paul Mitchell plaque gives customers something entertaining to look at that is relevant to what you do. They inform visitors of the impact and influence of the Paul Mitchell brand while letting them know how passionate you are about your business. 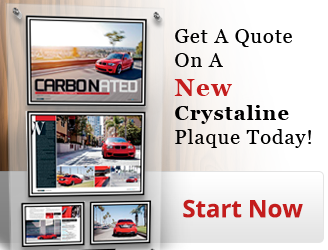 These plaques make for attractive displays that will last for a long time, as the images contained in each plaque are protected from the harmful effects of exposure to the air. This means that the plaques you put on display will not crack, tear, or turn an unsightly shade of yellow. If you want a Paul Mitchell plaque of your very own, check out our Paul Mitchell page in our store, email Danielle Matherson at dmatherson@inthenewsonline.com, or contact us for more information about crafting a custom plaque.